Worcester has a varied heritage to explore including the 11th century Cathedral, the Royal Worcester Porcelain Factory with its museum, Greyfriars restored timber building, The Commandery Museum and Elgar's birthplace which contains memorabilia of his life. You can also walk along the river or take a boat trip. 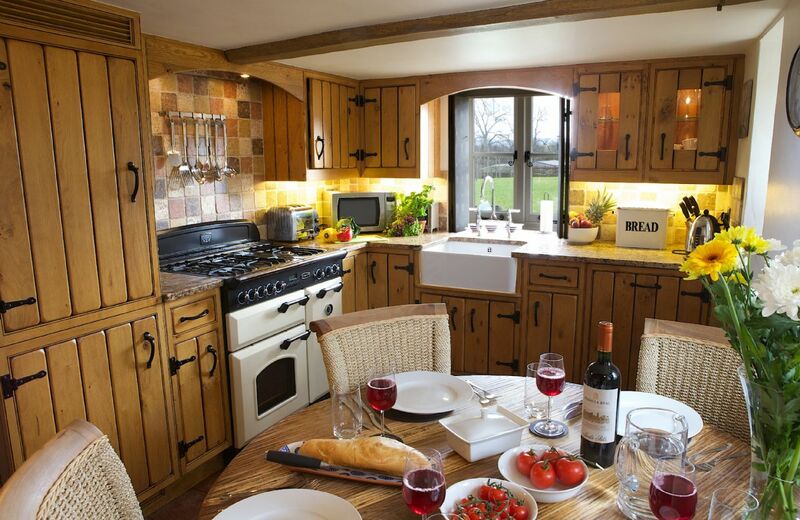 Our self-catering holiday cottages make the ideal base for your visit offering home comforts and incredible Worcestershire country surroundings. Your search returned 11 matching properties. 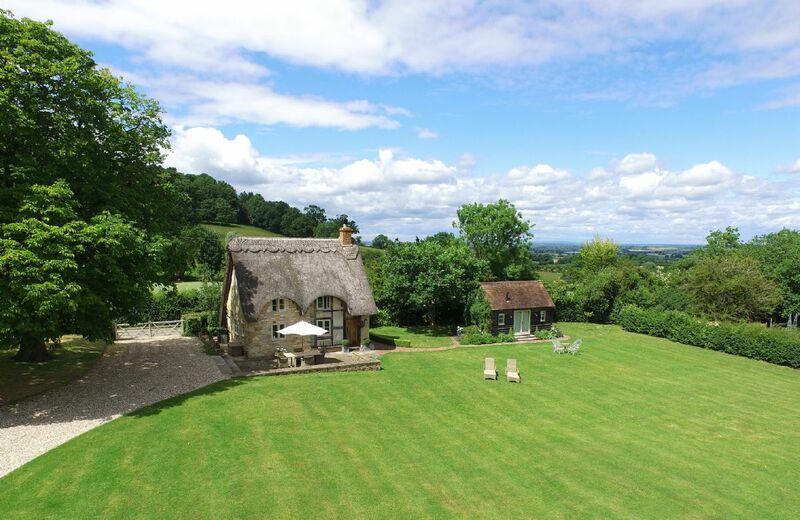 Highlands Cottage is just a stone’s throw from one of the Cotswolds’ most famous landmarks, Broadway Tower. 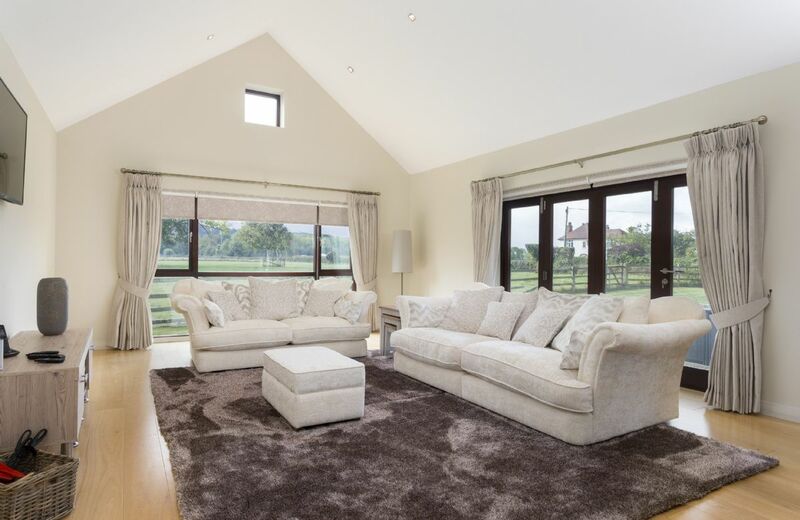 This light and airy property is the perfect place for a cosy retreat. 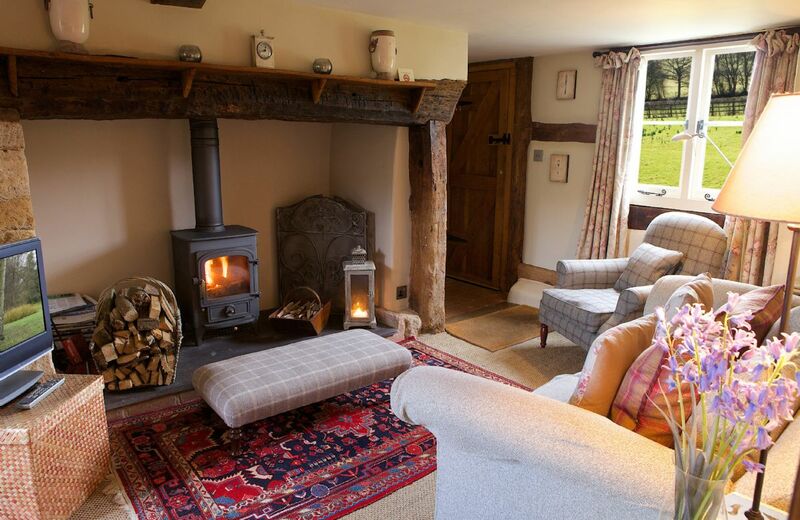 Attached to the owners’ house, the cottage offers seclusion and tranquillity in a beautiful setting. What a beautiful cottage. We were looking for a peaceful hidey-hole and this provided exactly what we wanted. Lovely, peaceful location, immaculate cottage, everything we needed. Corner Thatch is an old, charming, and very clean cottage in a very pretty village. It was lovely to walk around and look at the church and surrounding countryside, but there are no local amenities. We had the larger bedroom, a galleried room upstairs which was lovely with a large bathroom. Our friends had the shower room downstairs. I had contacted Rural Retreats about the poor reviews of that room. It is true to say that there was no drain smell now as the plumber had been, thankfully, but it did smell rather damp. Having said this, our friends weren’t too bothered by it. It is an old house clearly and will never be perfect, perhaps an better extractor fan which stayed on longer and more air bricks would help clear the damp smell altogether from that room. We were lucky enough to be able to sit outside a few times. It was a shame we could not find the cushions for the chairs. Our friends did text the Housekeeper, but got no reply. All in all, Corner Thatch is a very nice cottage. As always, the welcome pack was superb, Rural Retreats are very good at that and the Housekeeper had put a lot of thought into the contents. A lovely location. Did not like the smell from the downstairs shower room. Had a problem with a wasps nest outside the window so had to keep the window shut which did not help the smell. The welcome hamper was lovely and lessened the amount of provisions you had to take with you.The house was clean except for the toilet upstairs which had been forgotten. I would not stay there again as the bathrooms did not suit our needs. Thank you for your review. The shower room has now been completely sorted and the wasps nest has been removed. Beautiful cottage in beautiful quiet location. Great food pack. The cottage is lovely, clean and well placed for visiting the area. The welcome basket was a fantastic addition to the mini vacation. My only negative was the smell in the downstairs shower room. I did notice on other reviews that it had been mentioned before, so hopefully it’s been fixed now. Very pretty cottage but the downstairs bedroom en suite was not as I would expect . There was no true shower tray and the tile was not inclined enough to contain the shower when in use . This lead to a damp smell in the room . We did ask for both rooms to have double beds as per instructions in the booking,but when we arrived only upstairs was a double and downstairs room had 2 single beds, which were rather uncomfortable.We tried to contact the housekeeper but got no reply and she did not return our message on her voicemail.There was no spare bedding for us to use if we tried to put the beds together. There we no spare refuse bags for the kitchen bin . I am so sorry about the beds. We have now had clarification from the owner that the beds downstairs are not zip and link and we have changed our website accordingly. We would have awarded Five Stars were it not for the downstairs bedroom and en suite shower room. There was an elusive but all pervading smell of drains in this room. When we used the shower for the first time, the controls fell off in three pieces. We reassembled them and in use, the shower tray soon overflowed and soaked out into the edges of the bedroom carpet. Maybe this was the source of the smell? We had lots of trouble with the wooden, slated blind in this room. At first it refused to operate at all and when we eventually freed it, it would still not open and close. Despite these problems we thought the cottage was ideal and we loved its location. We would recommend it to friends - in the hope that downstairs room is dealt with! Thank you for your feedback - we are delighted that you loved Corner Thatch and thought the cottage ideal. Following your comments here the owner has investigated the problems in the shower room. Lovely cottage, excellent welcome hamper, many thanks. Only one small negative, in that the en suite for the twin room does have a damp smell probably due to the age of the cottage, but not helped by the way the shower run off is poor and almost runs into the room. Corner Thatch is a beautiful chocolate box cottage in a very quiet village in the north Cotswolds. The beds were comfortable and the heating efficient for an old building. However, the heating was not on when we arrived which was disappointing as it was a very cold day and it took a couple of hours to warm up. Also, it could have been cleaner. The several cobwebs I can forgive in such an old property but the directional attachment to the tap of the sink was filthy and I had nothing to clean it with so we boiled all our water. Thank you for your feedback. I am very pleased that you thought the cottage beautiful and that you were comfortable there. I am, however, sorry that the heating had inexplicably gone off and that there were one or two housekeeping issues. The housekeeper at Corner Thatch usually does an excellent job and we will discuss your comments with her. This is my second trip, I love the feel and homeliness that the cottage offers. I travel alone and the cottage suits my needs perfectly. I hope to stay again in the near future. A delightful cottage in a pretty, rural village. We had everything we could need in this well equipped retreat, and found it warm and cosy for our Christmas stay. Would recommend to anyone. Another lovely review for Corner Thatch, thank you so much. A lovely few days spent in the most perfect location. Rural Retreat properties can always be relied on both for quality of experience and the most perfectly tranquil settings. Had another lovely break with Rural Retreats. 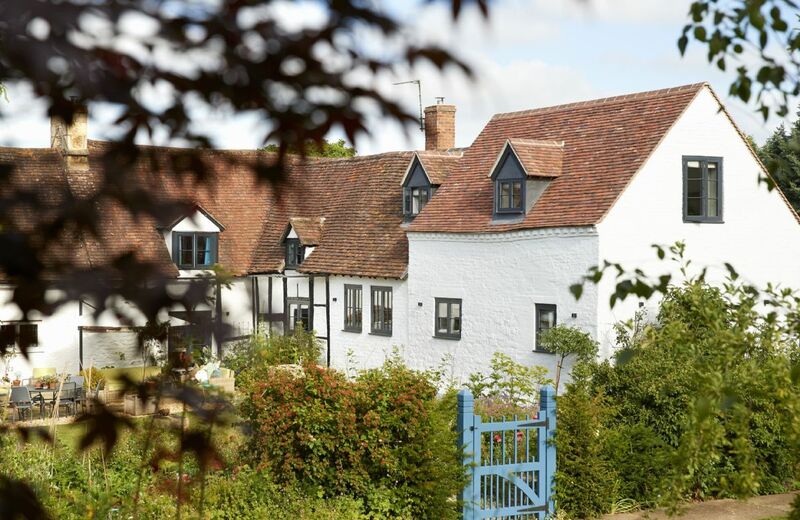 It is a lovely little cottage & only 20 mins from Stratford. highly recommend. Beautiful cottage for a break, would highly recommend to any other traveller. Thank you for your lovely feedback for our new little gem Corner Thatch. Corner Thatch situated in the idyllic village of Abbotts Morton, is one of the oldest and most picturesque villages in Worcestershire. 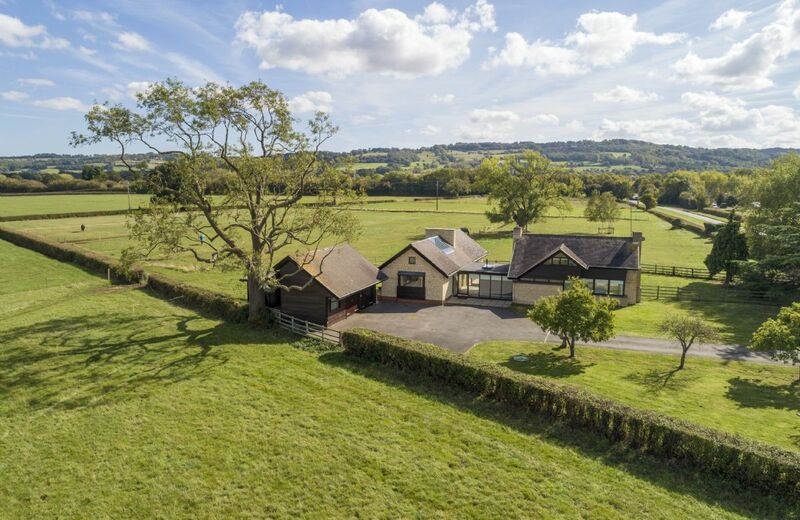 The surrounding countryside provides numerous walks and cycle routes, while the Cotswolds and Stratford-upon-Avon are only a short drive away. Would have been 5 stars except the Cleaners turned up early no apologies for arriving early just asked us if we ‘had done’ . It was as if they just could not wait to get into the cottage so we felt a little bit harassed. Lacking on cleaning in the oven and dishwasher which incidentally did not work. We have stayed at field cottage several times over several years and it continues to be an exceptional cottage with exceptional owners. Our recent stay was part of a sixtieth birthday celebration and Lisa went that extra mile by organising flowers, balloons and a card, on behalf of my husband. Our son and his partner joined us from Amsterdam and had to be persuaded to actually leave the cottage to enjoy the Cotswolds! I know we will return. Nice cottage & Annex. Well maintained, good attention to detail, good location, warm despite the snow, nice welcome pack & welcome by the owner. Beautiful peaceful location and a very special little cottage. The Annex is also lovely. We didn't want to leave at the end of the week and hope to return in the future. The only down side for us was that our well behaved dog had to stay at home. We would have loved her to have been there even if she had needed to stay on her lead while in the cottage grounds. Perfectly perfect in every way! Beautiful accommodations and setting. The hospitality was evident in everything from the welcome basket to the information on the area. A wonderful location and a very good hamper on arrival! 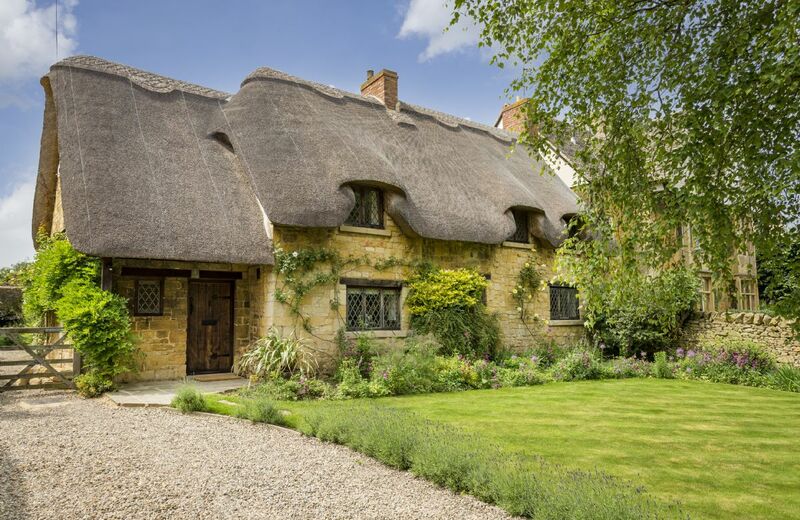 This delightful thatched cottage on the slopes of Bredon Hill, on the edge of the charming village of Elmley Castle, retains many period features. It can be booked along with its comfortable annexe, providing accommodation for four guests in all. Stephen speaking after a week residing at Long Cover. When you visit and notice that odd couple over in the corner, that’s us, we’ve dug our heels in and are not leaving! Finding LC was a real delight. We enjoy staying at nice places, the Jockey Club for instance. I don’t want to describe too much so you can enjoy finding out for yourselves. There are so many little touches emanating class and showing off the creative skills of our hosts. Each day we found something either hidden away or placed in just the right place. Look out for the hideaway in the woods, full of furniture and that picture of the cow, love it. There are many little areas that meant if one wanted to a different spot could be enjoyed each day. Chairs and loungers everywhere. Enjoy the bothy and seek the door into a tree. I bet you can’t find the wooden man hugging a tree though! And as for inside. Again I won’t say much so you can be very pleasantly surprised at how wonderful it is. My advice is take a book on birds (although found out on last night there is a book there!) and trees. So many different birds and trees. Turn the phone and internet off so you just have country sounds gently adding to the serenity. 1. We had to leave. 2. The dogs thought we had moved here and didn’t want to leave resulting in us having to pay for therapy for the canines. Usually they are delighted when we arrive home yet for the first time they looked overwhelmingly underwhelmed, even depressed. We now have threats from the pooches of them reporting us to the RSPCP (Royal Society for Protection of Pointers) for taking us away from paradise and trauma sustained forthwith. 4. The cake was faulty, it ran out too soon! Roughly translated:- “The problem was first thing in the morning leaving the house to do our business and seeing cheeky squirrels needing our attention, not knowing what to do first, point or poo! During the day we were able to investigate the many bushes and copses to make sure the many birds were behaving themselves and catch up on the many scents around. The wood fire was nice and warm and the staff (Stephen & Penny) looked after us well. The hosts are dog friendly and we felt very welcomed and accepted”. This was an idyllic location, far off the beaten track with beautiful gardens and stunning views. The property oozed character and charm and was both comfortable and clean. The owner was friendly and helpful whilst giving us privacy during our stay. I would definitely recommend this and would dearly love to return. Long Cover is such a beautiful place. It was surrounded by fields of sheep and cows. Just sitting in the garden as the sun was setting and looking down into the valley you felt that this view hasn’t changed for the last 200 years. The home was warm, comfortable and everything you could possibly want. The beds were those old fashioned country beds, so comfortable and seemed to hug you to sleep. Our host was so kind and accommodating. Love it and will be back again. Another great review for Long Cover. Thank you so much. Simply wonderful, restful, well equipped, and the home made welcome cake provided by the owner was lovely. We have stayed in nearly 20 cottages in the UK from Northumberland to Dorset. Without doubt the one in the most attractive & enjoyable setting is Long Cover in Worcestershire near Tenbury Wells. 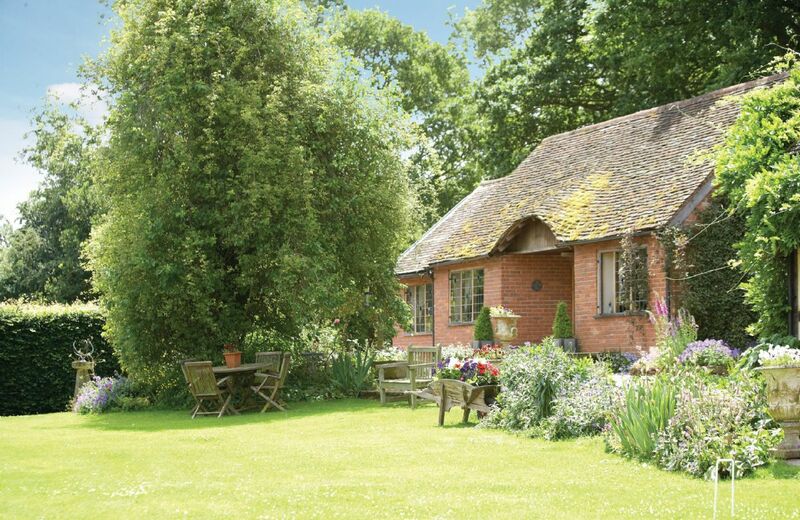 Long Cover is a three-bedroomed cottage surrounded by 7 acres of grounds. Occupants have free access to all that space including play areas, woodland, pond, tree house, a "bothy" (farm labourer's hut) and hammocks. There are four or five outdoor seating areas and a barbecue. There is a quirky, highly personal feel to the surroundings reflecting the labour of love that the property obviously is. 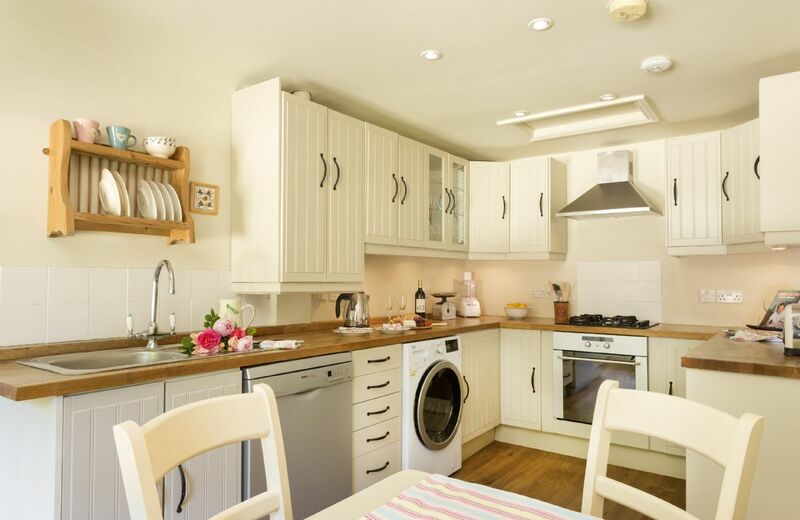 Indoors, on the ground floor, the cottage features a well-equipped kitchen (including an Aga), six- seater dining area, a very comfortable living room and a comfortable double bedroom. There is a bathroom including a bath and separate shower. Upstairs there is a double bedroom, twin room and (tiny) toilet. Each room continues the individualistic theme of the entire site. Long Cover cottage housed 5 people (and a terrier!) very comfortably and warmly. We were welcomed personally by the owner Eleanor with a smile and a welcome hamper including a delicious home-made cake. But the real emphasis-and the reason I would unhesitatingly recommend Long Cover, is the beautiful surroundings . Long Cottage is almost half a mile off any road. It is very isolated and commands a panoramic view of the beautiful local countryside. If you want hustle & bustle I suggest you look elsewhere! You are however within twenty-odd miles of Hereford, Worcester, Hay-on-Wye, Leominster and Ludlow. Tenbury Wells and Eastnor Castle are much nearer. Our party included two teenagers and within 15 miles drive we were able to take them to West Midlands Safari Park and the Time Machine Museum in nearby Bromyard. The ground floor bedroom was ideal for the 87 year old in the party. We were not blessed with good weather or we would have undoubtedly spent more time in the grounds. To prove how much we liked the place, we have already booked a return visit- less that a week after leaving! Do yourselves a favour- visit Long Cover before it gets too famous. You won't regret it! Wow what wonderful comprehensive feedback for Long Cover. Thank you so much for taking the trouble to write such a helpful review. 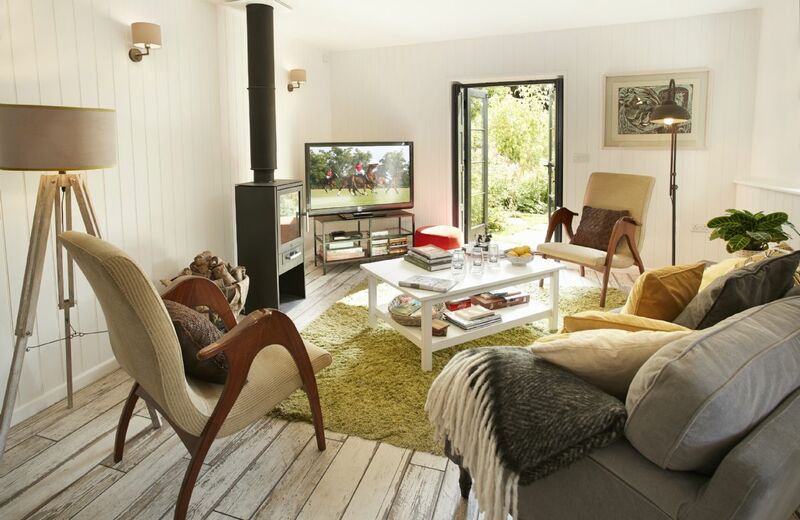 A beautifully fitted out comfy cosy cottage. Set in stunning gardens in a fabulous part of the countryside. Delightful cottage and ideal for a Christmas break. The experience enhanced by beautiful festive decorations carried out by Eleanor. The cottage was wonderful, one of the best we have stayed in. Beautifully furnished and very well equipped. Ellie the owner could not do enough to make the stay perfect even down to the homemade cake. Very much appreciated. Thank you. The cottage was fabulous and the owner was extremely nice; very welcoming and accommodating. We had a fabulous time and would recommend it wholeheartedly. This was a beautiful house with all the usual quality that you expect from RR. However, I think there were a couple of things that could have been clearer in the property description: the gardens/grounds are shared with the owners who are right next door and they have children who play ball games and run around. We had no problem with this but some people might have wanted something more peaceful. Secondly, the upstairs toilet is really tiny and a man can't really use it without contorting himself. Even I had to 'fold myself' into it! The bedrooms upstairs have very sloping ceilings, making them also quite uncomfortable for tall people. We were only four people from the same family but I think six would have been a bit cramped given the bathroom facilities. The owner was very friendly and greeted us with cake. The terrace is great for barbecues and the views are truly spectacular though so we had a good time. 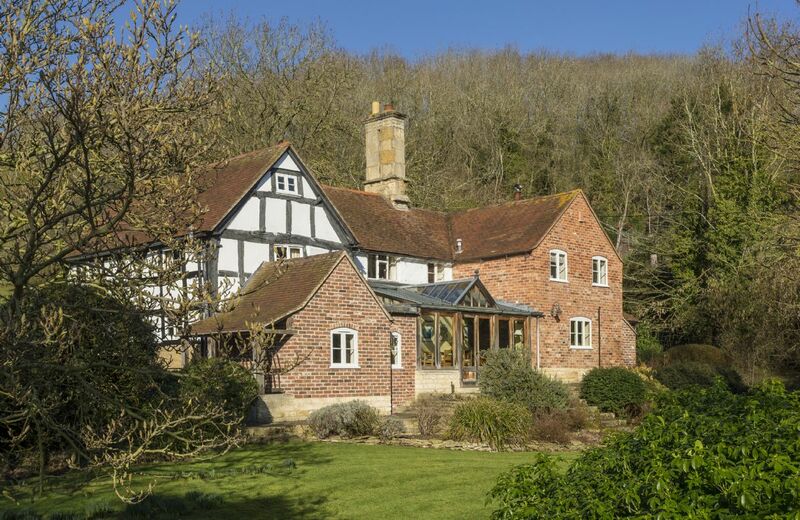 This 16th century timber framed house is surrounded by tranquil farmland in Fishpools, Kyre. 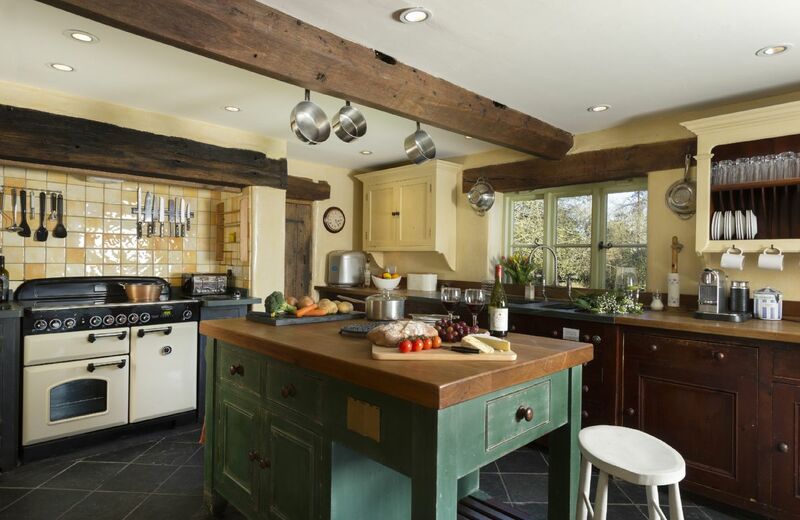 It has many original features, including exposed beams and an old oak staircase. There are magnificent views in all directions over the Teme and Kyre valleys. A collection of three individual properties, all former farm buildings and superbly renovated to create a delightful holiday let with all the comforts of home in a peaceful rural setting. 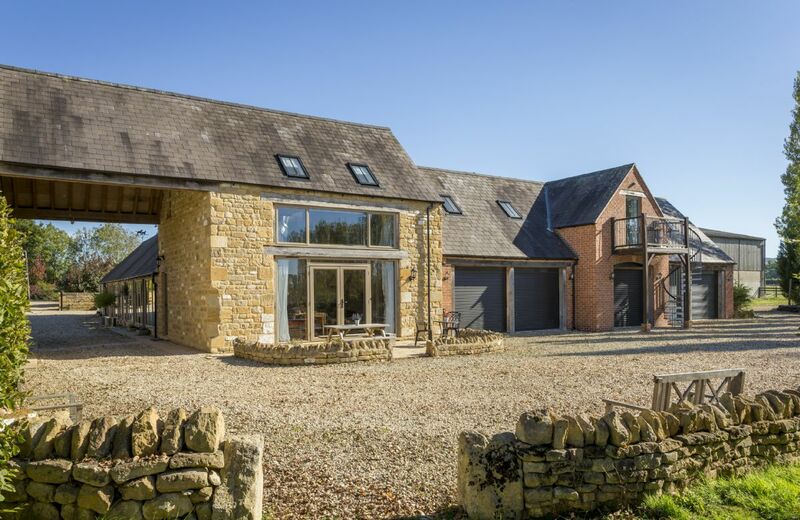 Situated equidistant from the charming Cotswold towns of Chipping Campden and Broadway. Excellent farmhouse with first-class amenities. Clean home with comfortable rooms. Exactly as advertised and more. Very quiet location with a nice view all around. The kitchen is well stocked with quality crockery and cutleries. They even have a picnic basket and BBQ set ready for our use. The Welcome Basket was extraordinary. Very generous and unlike any of the houses we've stayed in. Thank you. We strongly recommend this farmhouse to anyone. 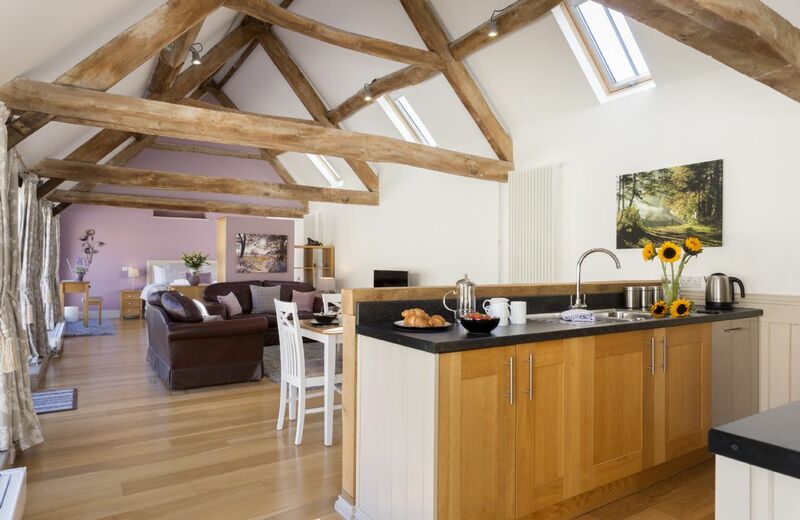 Willersey Farm House is fabulous for a stay in the Cotswolds. Although it is situated on the border of the Cotswolds, the popular pretty villages are very accessible. The accommodation is very modern, light and open planned. It has everything needed for a comfortable stay. Our grandson and dog had lots of room outdoors for a good runaround and our guests all complemented our choice of accommodation. Very beautiful farm house in a lovely setting. Brilliant welcome hamper provided. Overall very clean however we found the rug in the living room had a lot of pet hair. As a group we sat on the rug and played games but were covered in lots of pet hair. I would feedback the rug needs to be thoroughtly cleaned to remove pet hair. 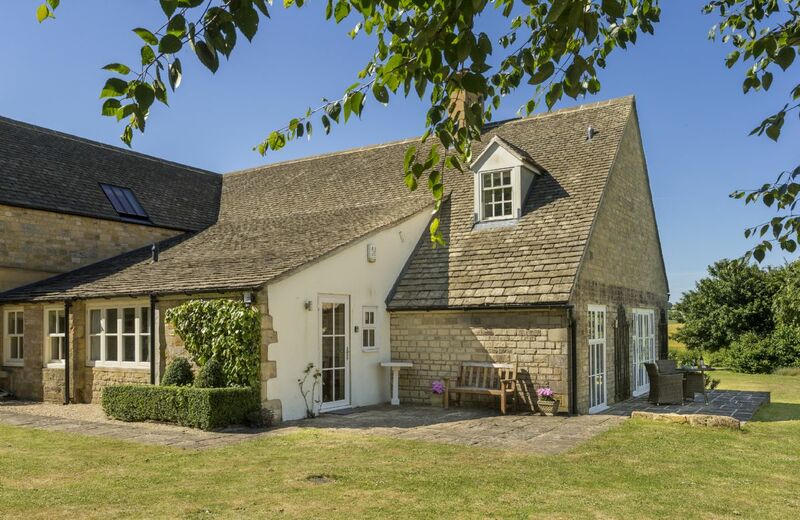 Set in its own gated grounds, Willersey Farm House is a unique blend of old and new, with a traditional Cotswold building for the bedrooms attached to an all-new, contemporary living area. 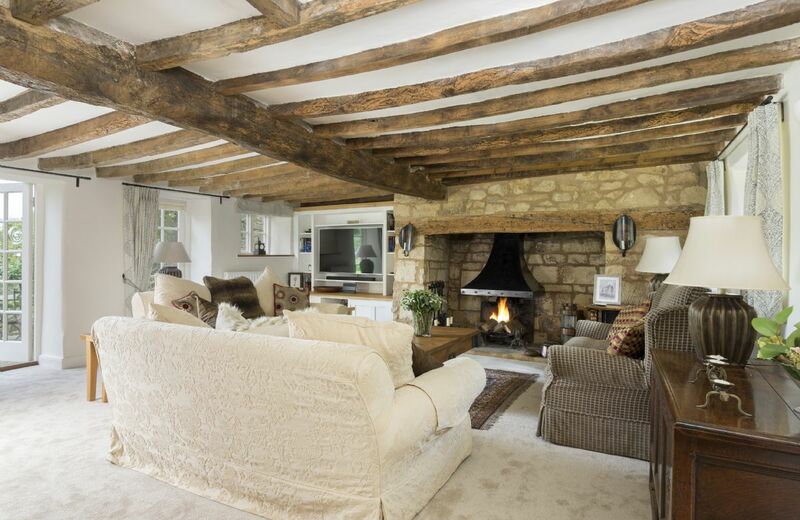 Traditional beams and Cotswold stone mix with stunning contemporary design to create a very special holiday home. 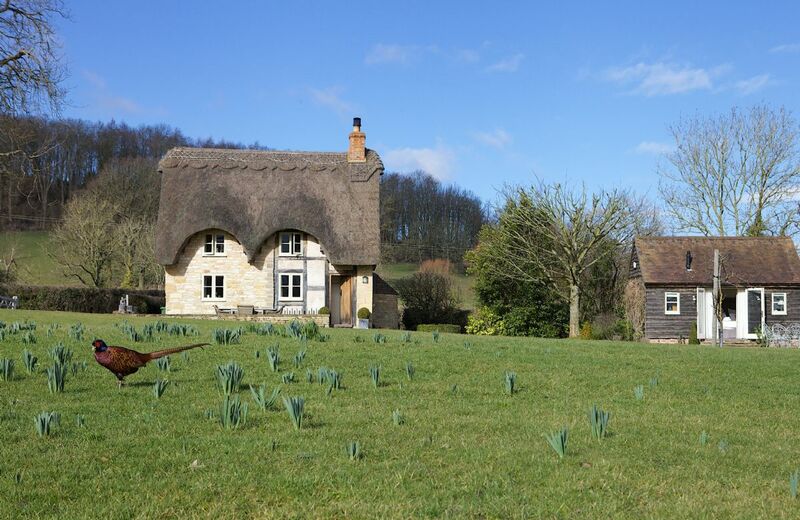 The Coppice is a beautiful, Grade II listed period property, nestled under Bredon Hill in an Area of Outstanding Natural Beauty. 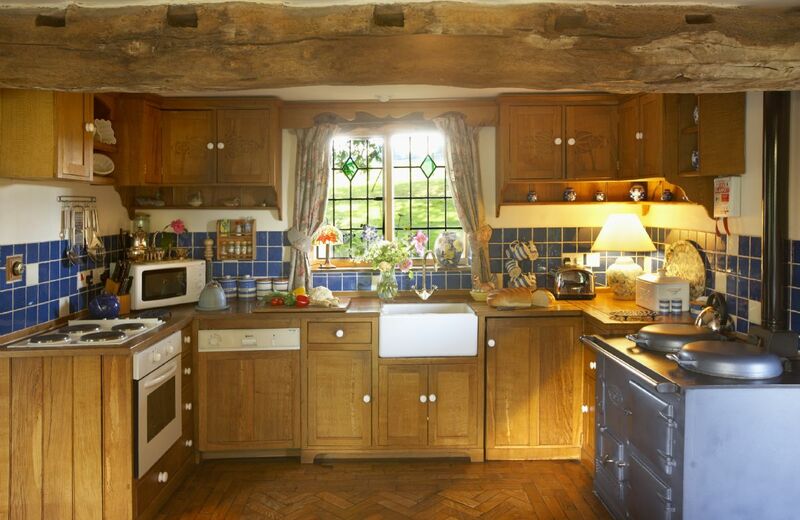 This half-timbered property boasts plenty of period charm yet has all the modern comforts you’d look for in a holiday home.